Catherine Johnson, A.P. 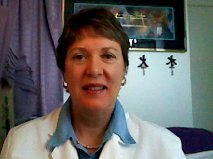 (Acupuncture Physician) is a graduate of East West College of Natural Medicine. She is originally from Michigan, where she graduated from Wayne State University with a Masters in Education. She holds a Diplomate in Acupuncture Certification from the National Certification Commission for Acupuncture and Oriental Medicine (NCCAOM). She is a supporter of the Florida State Oriental Medicine Association (FSOMA) and the American Association of Acupuncture and Oriental Medicine (AAAOM). Catherine’s purpose is to help each and every patient reach their optimal health potential through the centuries old practice of Oriental Medicine.The Oriental Medicine tools she uses are acupuncture, tuina/acupressure,diet, exercise, herbs and meditation. She also practices homeopathy.